I was invited to Laila’s (from day 62) birthday party today so I knew I’d see plenty of dogs but on the way there I spotted at Saint Bernard! 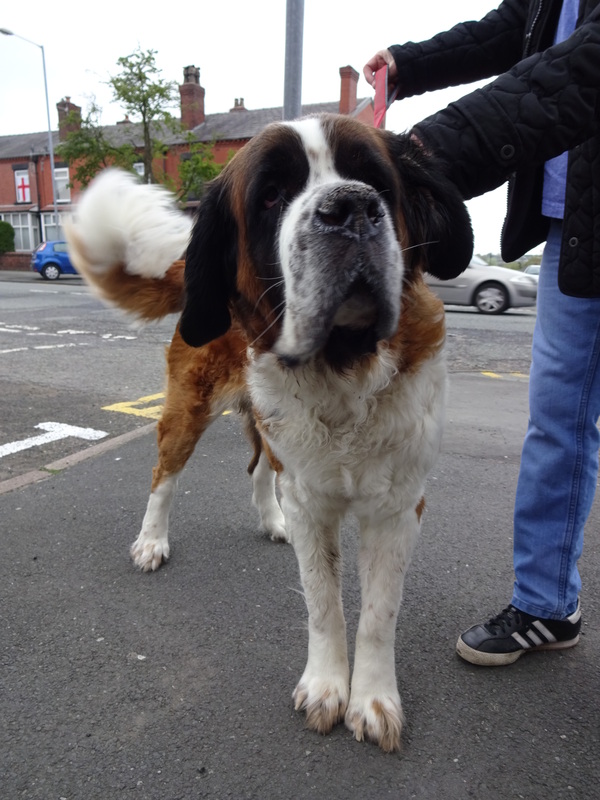 I was soooo excited, everyday I hope I’ll see a Saint Bernard! I had to get my husband to pull over in the car and I ran out to say hello. I met very beautiful Ruby, she’s such a lovely girl. I got to give her lots of strokes and she sat on my feet to make sure I couldn’t move and so could carry on stroking her! 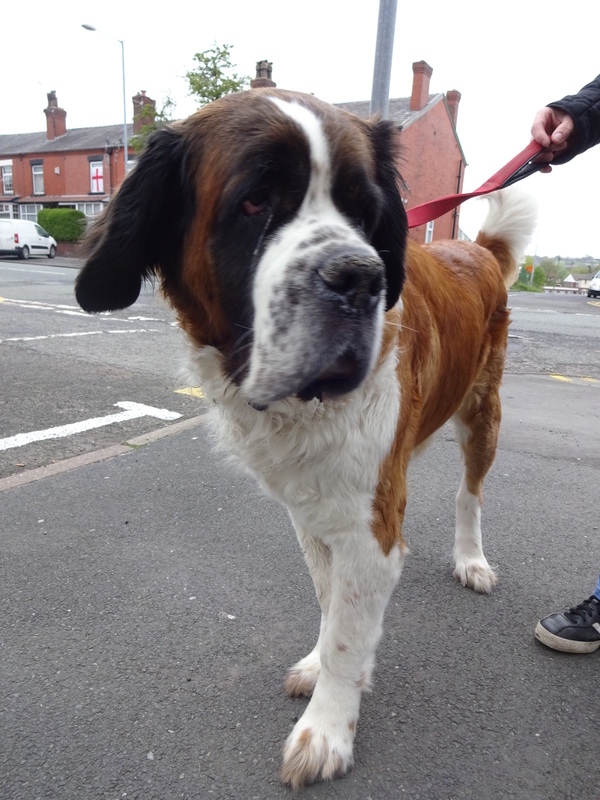 To be fair it’s pretty hard to move a Saint Bernard off you! Ruby lives in the Tansy Green pub and so she gets lots of fussing from the locals. She make herself at home and sits on the seats next to the customers and she’s also been know to steal some Guiness! Ruby’s human dad has told me that the movie Beethoven is pretty much what it’s like having a Saint Bernard; you have to make sure you don’t leave the toilet seat up! Ruby is also a mum and once had a litter of 7 puppies. Unfortunately Ruby has since been diagnosed with epilepsy and has to take medication every day; she leads a full and happy life though! Laila’s birthday party was lots of fun and I got to see lots of lovely dogs including a Grey Whippet, a Westie, Alfie from day 113 and a puppy Boxer; all in all a very good day! Favourite food: Anything! No food can be left out!